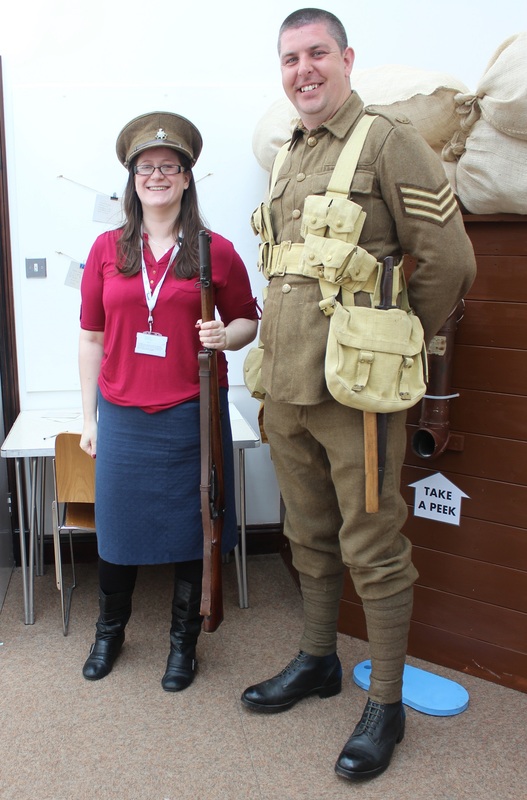 On 25th of April our project exhibition, “Training for War: Exploring Shoreham Army Camp 1914-1919” opened at Worthing Museum and Art Gallery with great success. NADFAS volunteer creating our boxing dummy. 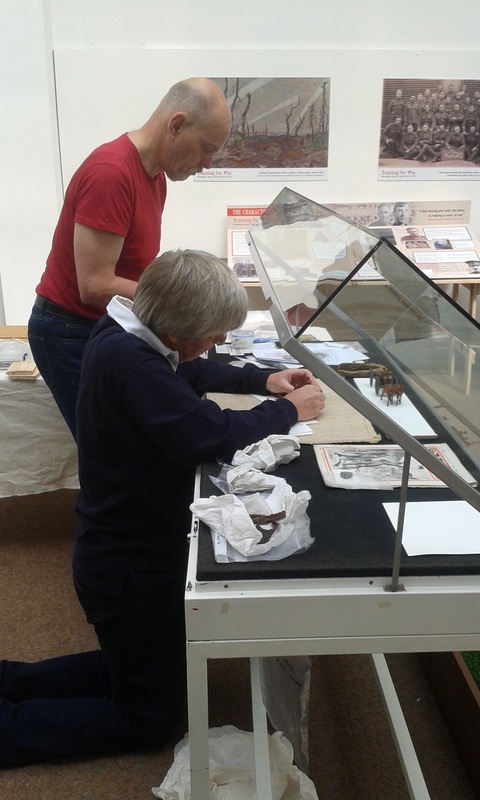 Volunteers install objects for the exhibition. The open day was well-attended with around 60-70 guests including many of our volunteers, partners and supporters. 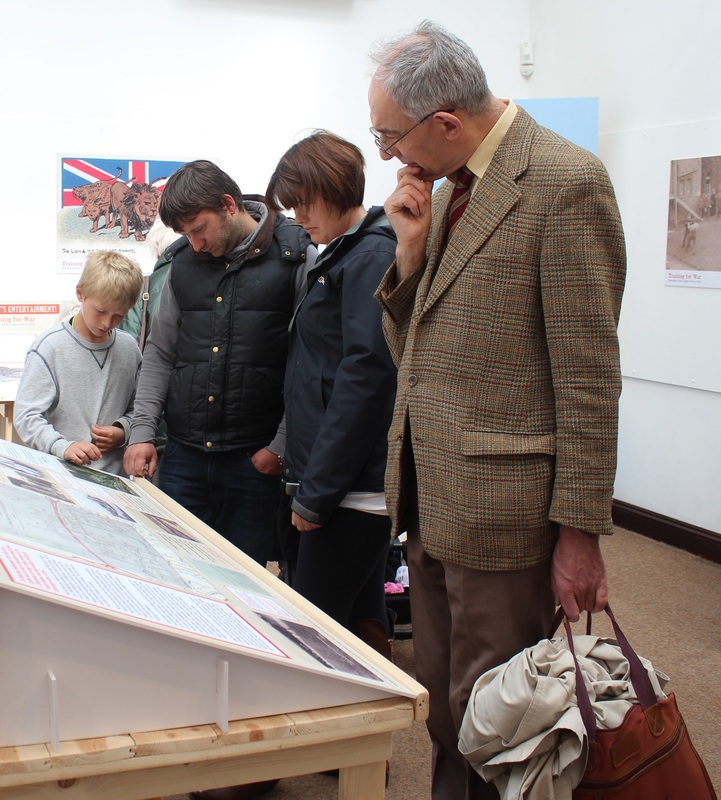 Visitors on the open day explore the exhibits. Project coordinator recruited by Gary Baines, Shoreham Fort! 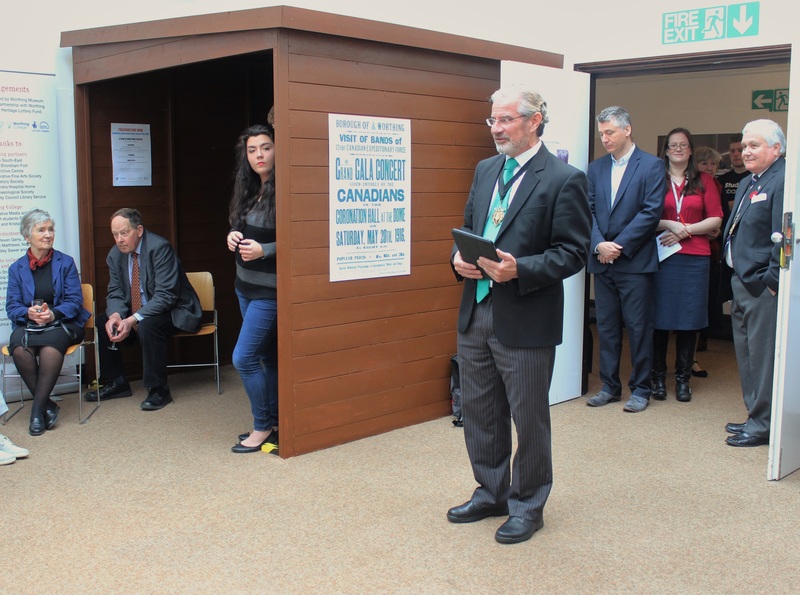 Worthing Mayor Vic Walker and Deputy Mayor Michael Donin gave great speeches and the Connaught Theatre hosted a cinema showing of films produced by the students of Worthing College on the project. Short Exhibition edit of the student films. The exhibition is open to the public and will remain in Worthing Museum until the end of May 2015. But the project is far from over. Over the next 4 months we are delivering events all over Worthing and Shoreham and will be working on developing a project website which will remain as a lasting legacy for our research. 18th -28th June: Project Exhibition up at Worthing College. 5th July: Trench day at Shoreham Fort with Shoreham Sea Scouts. 2nd September – 3rd October: Project Exhibition up at Marlipins Museum, Shoreham. There will be further details updated on the Worthing Museum events page soon. Previous PostOn This Day 1915: Concert at the CampNext PostOn This Day 1916: AWOL soldier “kicked up rough”.